We are pleased to announce that Design Principal, John R. DaSilva, has been elevated to the American Institute of Architects' (AIA) College of Fellows (FAIA). This honor recognizes architects who have made significant contributions to the profession and society and who exemplify architectural excellence. Only 3 percent of AIA members receive this distinction and less than 3 percent of all architects. The AIA College of Fellows, founded in 1952, is comprised of members of the Institute who are elected to Fellowship by a jury of their peers. Fellowship is one of the highest honors the AIA can bestow upon a member. Elevation to Fellowship not only recognizes the achievements of the architect as an individual but also their professional accomplishments and the impact of their work on the public. “Thanks to over 20 years of thoughtful collaboration and support from a talented, creative, and committed team at PSD, I am deeply honored to have our work recognized through elevation to Fellow of the American Institute of Architects,” says DaSilva. As Design Principal, DaSilva is responsible for directing the architectural staff and setting the aesthetic direction for PSD. Highly-regarded as an author on architectural topics, he holds degrees from Princeton University and Yale University. 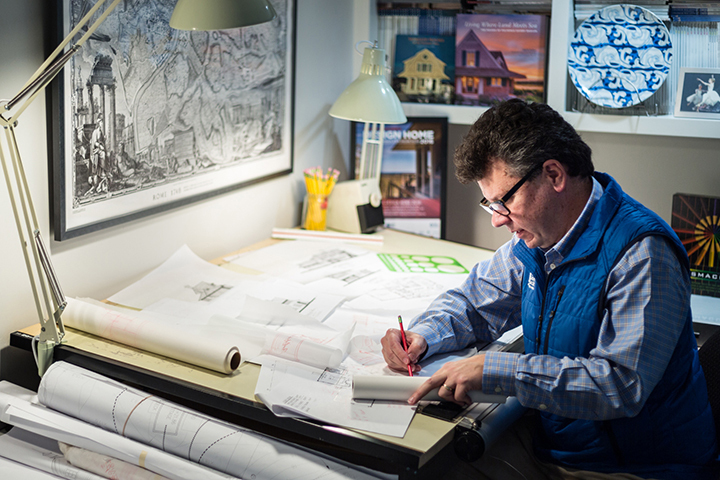 Before joining PSD in 1998, he worked for several notable firms including Skidmore Owings and Merrill, Venturi Rauch and Scott Brown, and Cesar Pelli and Associates. DaSilva’s highly-regarded architecture is inspired by coastal southern New England and is seen in distinctive homes and select institutional, commercial and hospitality environments throughout Cape Cod; on Nantucket and Martha’s Vineyard and elsewhere in Massachusetts, Rhode Island, Connecticut, and New York.